This paper derives from a research project, which sets out to address practitioner dissatisfaction in the area of Knowledge Management. 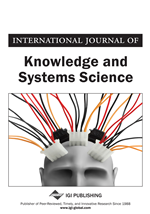 The author discusses common weaknesses in existing thinking about Knowledge Management and in prevailing models in particular. Modelling processes are considered and underlying assumptions that are required to be addressed in any attempt to create a Knowledge Management Model are examined. An overview is provided of the initial stages in the development of a new, synthetic and general model, The Knowledge Core©, with assumptions underlying this signposted and their influences upon modelling are discussed. KM appears to be firmly established as a strategic management tool (Rigby & Bilodeau, 2007). However, practitioners and academics seem to be expressing dissatisfaction with its performance in organisational settings (e.g., Rigby & Bilodeau, 2007; Smith, 2003). Theorists have been discussing dissatisfaction and potential deficiencies in the field for some time, particularly the lack of common framework to bind the process to situated settings (Rubenstein-Montano et al., 2001; Holsapple & Joshi, 2004; Metaxiotis et al., 2005; Mekhilef & Flock, 2006; Limone & Bastias, 2006). This lack of satisfaction, where KM is ranked 22 of 25 strategic management tools in a survey of 1221 global executives (Rigby & Bilodeau, 2007), coupled with an identified gap in theory, could cause a critical loss of resource value for organisations. These problems are succinctly acknowledged by Chun et al. (2008) who state that 'despite the importance of knowledge as an asset, few organisations truly understand what it means to be a knowledge-based firm and how to manage knowledge to achieve its goals' (p. 1). These apparent deficiencies led to an extensive enquiry into the field (Griffiths & Morse, 2009). Conducting an evidence-based meta-analysis of 287 pieces of academic and practitioner KM literature and 71 KM models and frameworks, we concluded that a common framework of KM appeared plausible, existing across the disciplines of Business & Management; Engineering; Decision Science; Computer Science; Medicine & Health; and Social Science. We further concluded that this framework consisted of 16 common CSFs. In a distillation of our results we proposed four functions of KM (Capturing & Storing, Creating, Sharing and Applying) and twelve enablers (What Is Known, Extending What is Known, Reflecting, Context, Motivation, Artifacts, Space, Culture, Organisational Structure, Knowledge Structure, Catalysts, Transmission). Examining the sample of 71 models and frameworks we exposed a potential gap in current research where 0 (zero) models, and only 1% of the literature in the original meta-analysis, identified all 16 CSFs. This paper attempts to progress our research by suggesting a general model for the field, represented through The Knowledge Core Model. The search for new models and frameworks has been criticised by some theorists as being a contributing factor to the apparent poor performance of KM as a strategic management tool: 'The profusion of terms...flippancy as to the way the concept is used, ignorance of the classical categories of thought and the frivolous abuse of fashions...are constructing a “Tower of Babel”, provoking injustice and unease in the unnecessary formulation and accelerated substitution of propositions of new models and expressions without allowing them to mature and without making a minimal effort to contrast them to prior ones' (Bueno, translated from Spanish and cited in Limone & Bastias, 2006, p. 40).